I can't wait for you to see the video on the Timeless Tidings Project Kit. You can purchase it from the new Holiday Catalog which goes live today, September 5, 2018. The kit includes all the card bases, gold foil elements, banners and circles for your sentiments, layered images and elegant gold trimmed envelopes to make 20 cards. Aren't they beautiful? Take a look at each card. There is gold foil on each card a a beautiful sentiment. Also, a little glitz with some rhinestones in either green or gold. There are a few items you'll need to complete these cards. 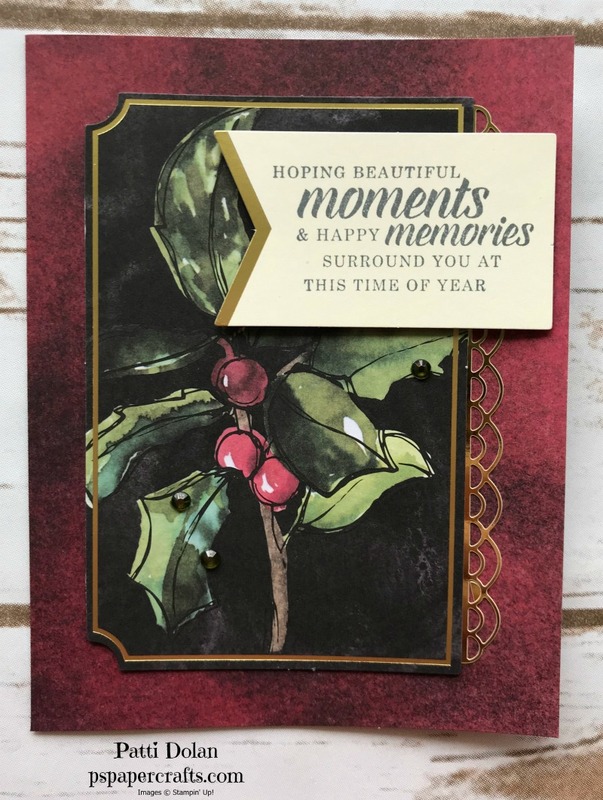 You need the Timeless Tidings Stamp Set, StazOn Ink, Dimensionals and Snail. You need clear blocks for the stamps or the Stamparatus. I have some tips on my blog post yesterday on getting your sentiments lined up perfectly using the Stamparatus. Why not get some friends together, chip in for the Stamp Set and ink and make your cards together. 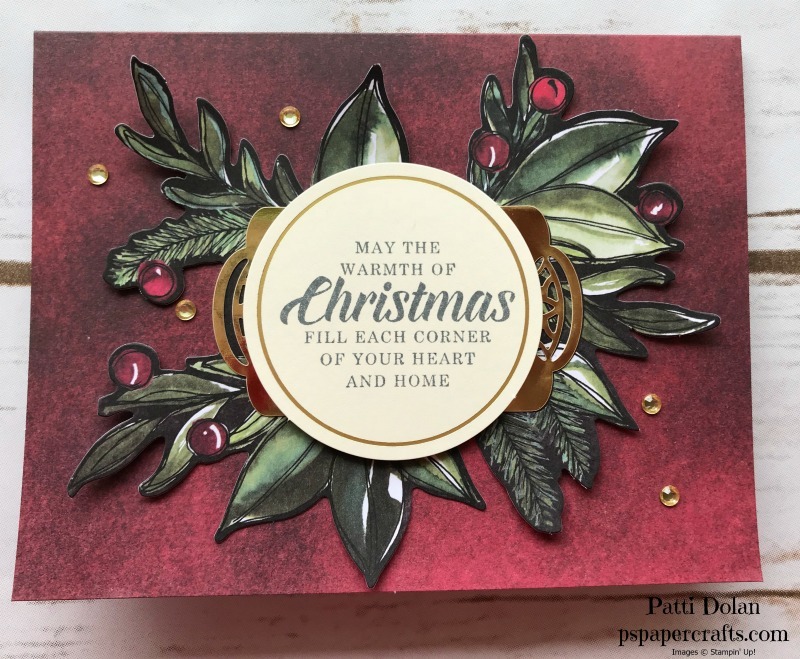 You can purchase multiple kits if you need to make more than 20 Christmast cards. Watch the video to see how easy these are to make.